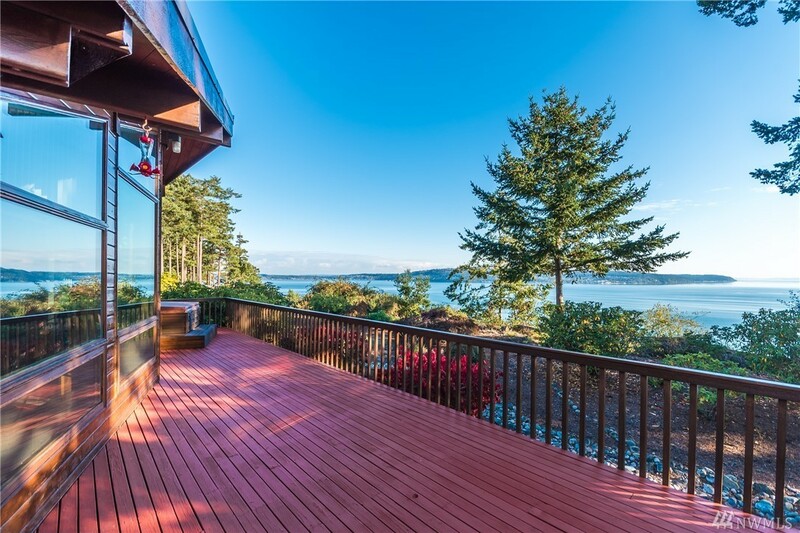 Perched 180 feet above the Salish Sea, is this quality built Pan Abode Cedar Home, with a bird's eye view of Polnell Point, Saratoga Passage, Whidbey and Camano Islands and more. Simple Northwest living in an efficient, well constructed home. Tile and solid wood floors throughout, 2 bedrooms and 2 full baths, 1413 +/- sq. ft., 2 car detached garage. Easy to maintain, mature landscaping. Metal roof and recent exterior stain provides years of worry free living. Welcome home!